Whenever you manage a mobile kiosk, a ticketing counter or simply organizing a trade faire booth you have to think about how to conveniently charge credit cards and to print invoices for your customers. TabShop point of sale is the right solution for exactly that purpose. By using Stripe payment processing TabShop pos offers all that functionality directly on your Android phone. TabShop not only lets you check out any credit card payment by using Stripe but moreover represents your entire shop management system right on your own Android mobile phone. By using a Bluetooth thermo printer you can directly print invoices for your customers after you charged your customers credit cards by using global Stripe card processing. By integrating multiple payment and credit processing platforms, TabShop is one of the most flexible mobile point of sale systems right on your Android phone or tablet. 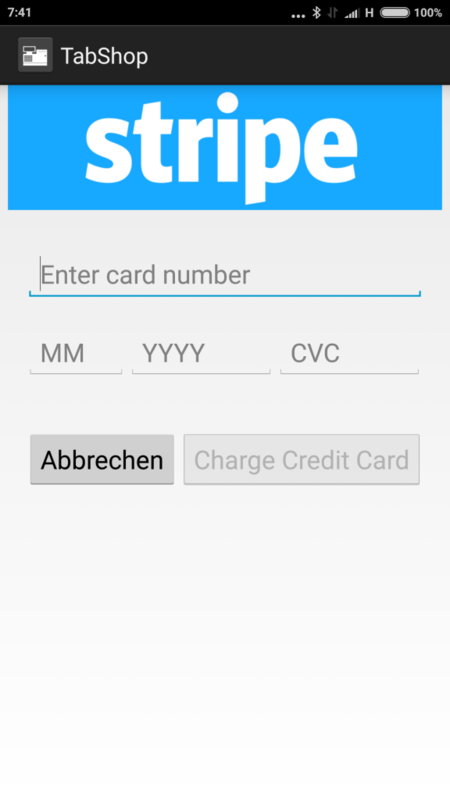 And the best thing is, Stripe credit card processing is available also within the free TabShop app version. This entry was posted in app and tagged card charging, Credit card, Credit card processing, mobile card charging, Point of Sale, pos, shop software, Stripe, Stripe payment, TabShop on April 14, 2016 by wolfgang. Organizing stock lists and collecting invoices within your shops is a cumbersome activity. By using Google spreadsheets TabShop simplifies that task for its users. Just create a spreadsheet online, enter your stock list, taxes and discounts and synchronize this information with your shops. TabShop Point of Sale devices automatically upload invoices into your Google spreadsheet after each checkout process. Organizing and reviewing all your stores information in realtime through a Google spreadsheet. Connect multiple TabShop POS devices and multiple shops by using your Google spreadsheets. This entry was posted in app and tagged Android Point of Sale, Google Drive, Google Spreadsheet, Point of Sale, pos, stock management, TabShop on March 13, 2016 by wolfgang. Tagging your products with the right, scannable price labels can be a cumbersome task. 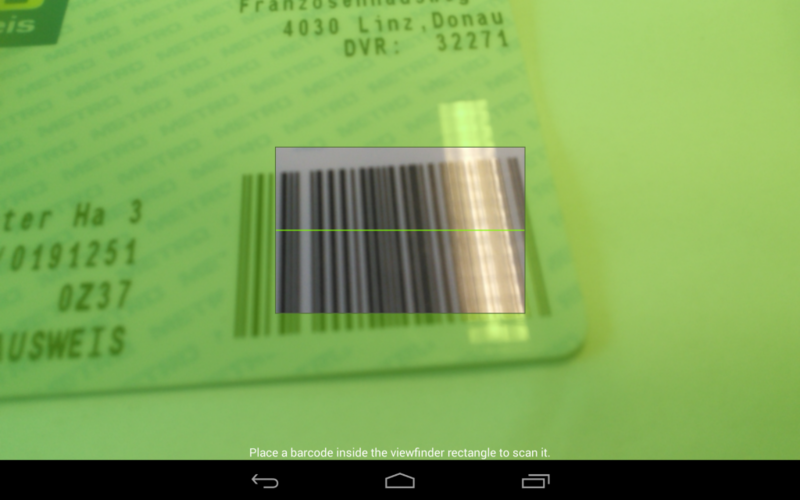 So TabShop allows you to easily generate all your product tags along with its scannable QR barcode code. The product price label shows the name of the product, its category and of course its price. Additionally the product price tag does show a QR barcode and its product id in case you have to type it in for the one or other reason. So TabShop offers a real simple method for generating and printing all your products price tags. This entry was posted in app and tagged price label, price tag, product label, product labling, product tag, QR barcode, qr code, TabShop on February 7, 2016 by wolfgang. 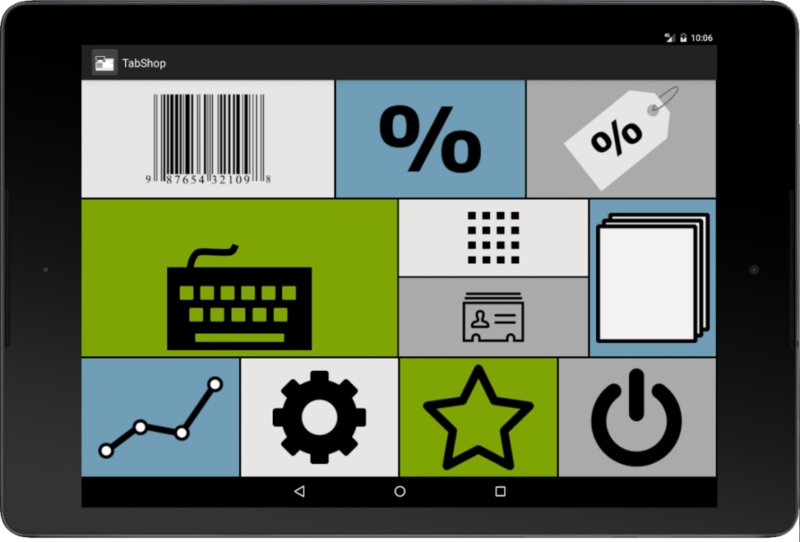 TabShop, the free Android Point of Sale (POS) App offers an intuitive way to organize your small or medium sized business. By customizing the local taxes and discounts and by supporting a multitude of different languages TabShop is perfectly ready for your individual local business. 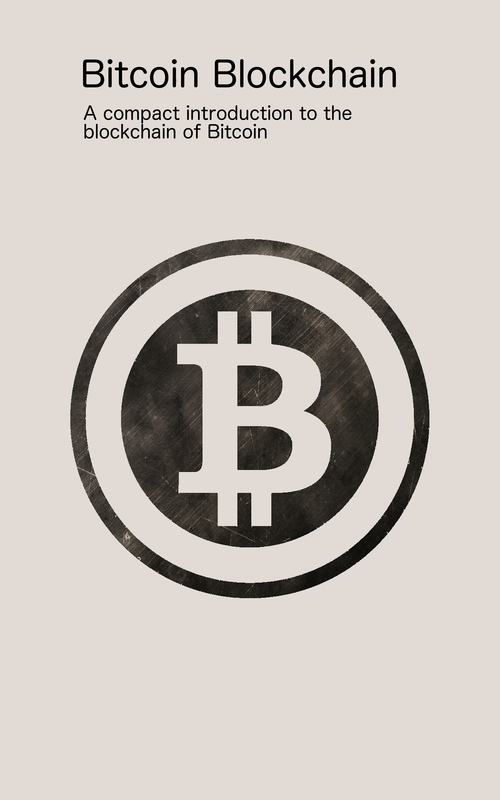 The TabShop cashier App also offers good support for QR codes as well as Bitcoin payments. By offering an open server interface, TabShop also supports your individual server backend integration. TabShop therefore is the perfect solution for your own shop, business, retail market, kiosk or simply your shop and stock management in your pocket. This entry was posted in app and tagged bar pos, Business, Cashier, Point of Sale, pos, Retail, shop, Stock, TabShop on October 4, 2014 by wolfgang. 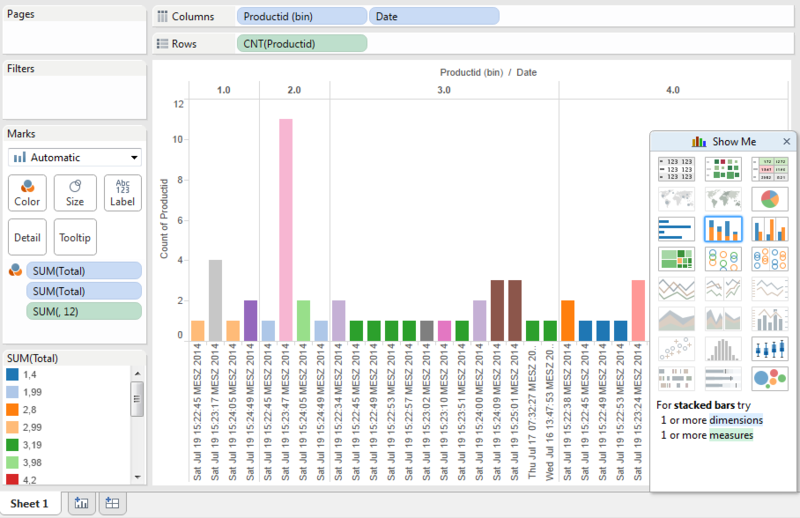 i was able to import the TabShop Invoice CSV Export within minutes and immediately created some interesting charts, such as products by date and time, distribution of products and sell quantity over time. 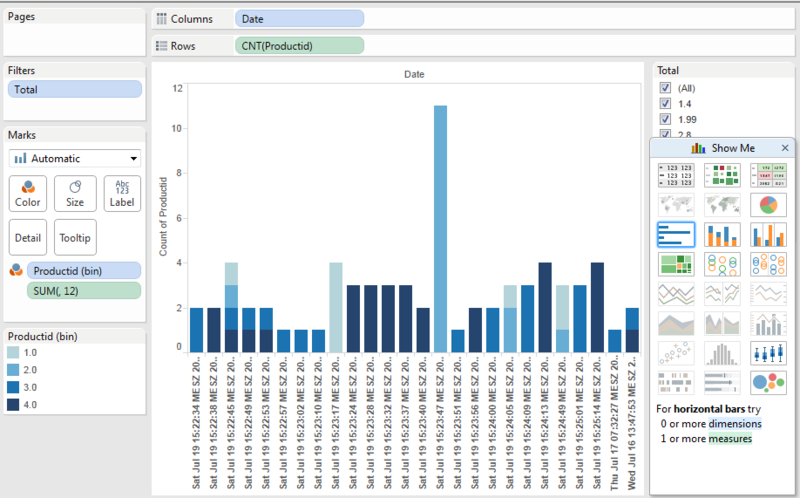 Tableau really is a powerful tool that has enormous potential also in combination with Point of Sale Systems such as TabShop POS. 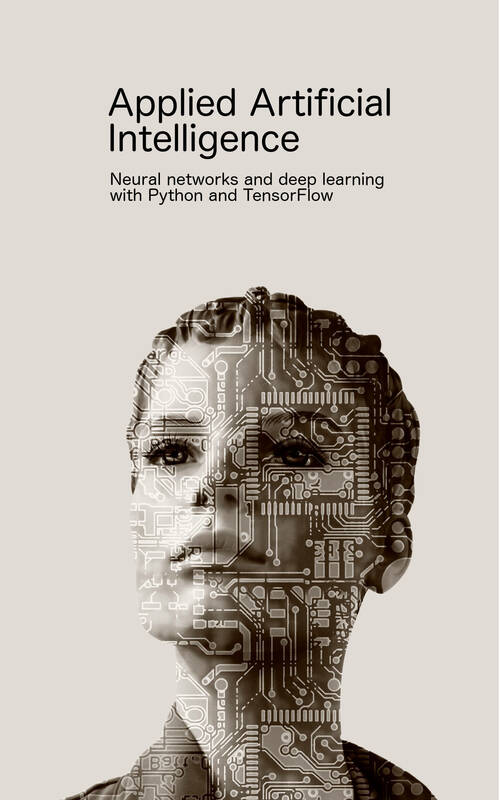 This entry was posted in app and tagged BI, Business Intelligence, Point of Sale, Queries, Reporting, Tableau, Tableau Software, TabShop on July 20, 2014 by wolfgang. Many startups, entrepreneurs and small businesses are spending a large amount of their spare budget for operating a cash register system. Most of these systems are built upon old stationary touchscreen hardware that is on the one hand quite expensive and on the other hand quite unflexible. These old point of sale systems do not represent the lean and flexible spirit of todays entrepreneurs and startups. Nowadays small businesses are moving fast, offer high mobility and react flexible on new opportunity. By offering a complete cash register and stock management system in your pocket TabShop climbed the top position in Google Play Marketplace. TabShop is the leading point of sale system app on Android tablets and smartphones. It allows users to manage their stock and directly checkout the customers invoices. With TabShop entrepreneurs always take their stock information and cashier system with them. So small businesses are always ready to take up great selling opportunities. 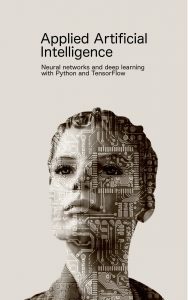 This entry was posted in app, coding and tagged bar, cash point, cash register, Cashier, entrepreneur, Kiosk, Point of Sale, Restaurant, shop, shop software, small business, startup, sweet shop, TabShop on June 27, 2014 by wolfgang. I just finished the first version of TabShop’s Quick Start User Manual. The User Manual explains all the essential features and settings in order to operate TabShop in your daily business. This entry was posted in app, coding and tagged Cashier, inventory, Invoices, Kiosk, Point of Sale, pos, Restaurant, Retail, software, TabShop on November 10, 2013 by wolfgang. As you all may know, also Amazon operates a global marketplace for Android Apps, as their Kindle Fire eBook devices are based on Android OS and are capable of running normal Android Apps too. 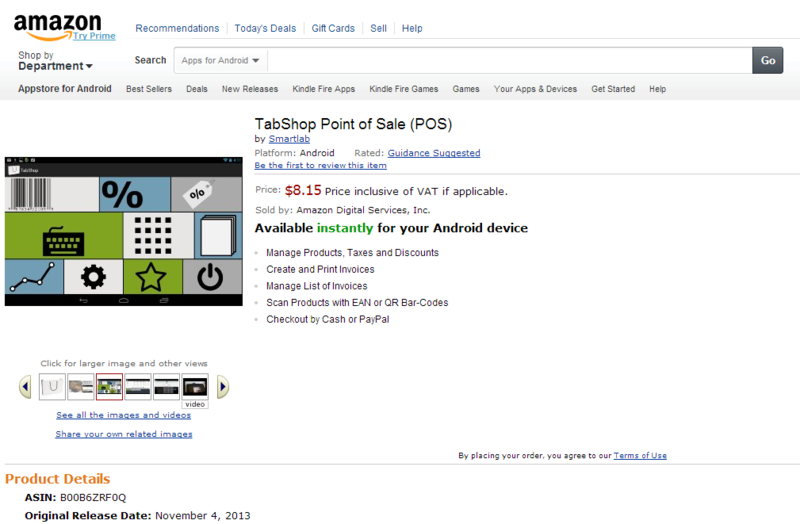 So for me it was clear that TabShop Point of Sale should also be available through Amazon. Since today TabShop also successfully received the global Amazon clearance, with all tests and reviews positively passed. Now you are able to even convert your own eBook Kindle Fire device into a full Point of Sale cashier systems. Amazon has done a great job with offering ebooks and apps on their own Kinde Fire Android device and i think it is a cool device for converting into a retail cashier system. Feel free and visit the TabShop Amazon product page HERE. This entry was posted in app and tagged Android, bar pos, Cashier, Cashier App, Kindle Fire, Kindle Fire POS, Point of Sale, pos, Restaurant Software, Retail, TabShop on November 4, 2013 by wolfgang.